“Blood cancer…a reason for optimism. Facing cancer twice has made me a more spiritual person. First I was angry and confused. Then I got to work getting well and communicating with others. I actually believe things happen for a reason and it propels me everyday, now as someone living – and living well – with myelofibrosis. I have spent my career in journalism, first print and then radio and television. I love meeting new people and covering what’s new and significant. In the mid 80’s I was asked to report on medical news and immediately I knew that should be my focus. Then in 1996 I became a patient and, by following my “nose for news” to the latest research, survived and was able to step up my reporting online for other patients. Last year I began thinking of myself less as a leukemia survivor and more as an active myelofibrosis patient and passionate about seeking the compelling stories across blood cancers and cancer, in general. The latest meeting of ASH (American Society of Hematology) in Atlanta was energizing. As a journalist and a patient I could feel the excitement of experts that real progress is mounting with more targeted, less toxic therapies. While cures, in many cases, remain elusive, effective control is at hand. I am living that with MF. Yes, I have scarring in my marrow. But an approved drug shrank my spleen, gave me back my appetite, took away my nightsweats and itching, and I seem to have boundless energy. May it continue for a long time, but, like you, I celebrate everyday and am optimistic more comprehensive treatments are coming. At ASH and in the weeks before I hosted several videos on MF. Some are in Italian and Spanish and a few include my US doctor, Srdan Verstovsek, and my Spanish one, Francisco Cervantes. These, and the other experts I have met, are incredibly dedicated to us.The MPNs are rare conditions. But I’ve already met a few people in person with them and now more online. There is tremendous optimism now that our lives can not only be better, but longer. 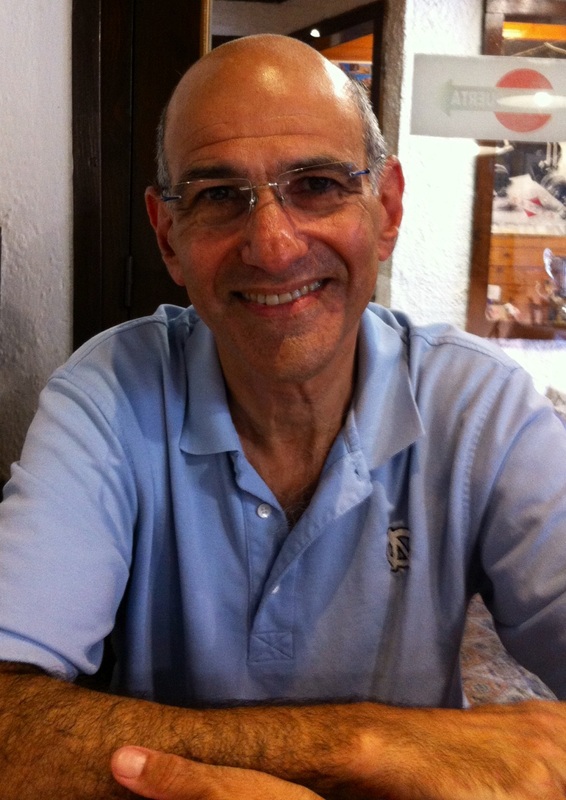 * Andrew Schorr, 62, is an American medical journalist, originally from Seattle and now living in Barcelona, Spain who has faced cancer twice. He was diagnosed with chronic lymphocytic leukemia in 1996 and his participation in a clinical trial put that disease in deep remission. In 2012 he was diagnosed with primary myelofibrosis and began successful therapy with ruxolitinib. He lives an active life, running, and leading a mission-driven team of producer advocates at patientpower.info. Andrew is also the author of the acclaimed book, The Web-Savvy Patient. © Andrew Schorr and MPNforum.com, 2013. Unauthorized use and/or duplication of this material without express and written permission from this blog’s author and/or owner is strictly prohibited. Excerpts and links may be used, provided that full and clear credit is given to Andrew Schorrand MPNforum.com with appropriate and specific direction to the original content. From one “lucky duck” to another, thank you for all you do to enlighten us as we travel this road together. Peace…………. Welcome Andrew. I have been a big fan of the high quality video presentations you have shot with Dr. Mesa. I look forward to seeing some of that content here at mpn forum. What I was not aware of is your diagnosis of MF. Welcome to the club.